Londrina Esporte Clube (Liga Ouro) inked 28-year old American guard Louis Munks (190-91kg-90, college: Prairie View A&M, agency: Interperformances). 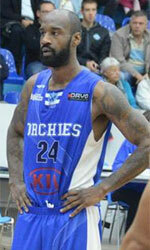 He played recently at Osorno Basquetbol in Chilean Liga Nacional. In 12 games he averaged impressive 18.9ppg, 4.9rpg and 2.9apg this season. Munks ended the last season at Universo/Caixa/Brasilia where in 11 Liga Ouro games he had 14.2ppg, 3.5rpg, 1.8apg and 2.0spg. Good season as he was selected League Player of the Week. But the most of that year he spent at Calero (Libobasquet) in league. 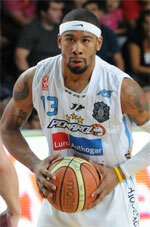 In 17 games he recorded very remarkable stats: 22.8ppg, 6.3rpg, 3.5apg and 1.5spg. Munks helped them to win the league title. A very good season in his career as he was awarded Latinbasket.com All-Bolivian Libobasquet Player of the Year, Import Player of the Year and Finals MVP. He is a very experienced player. Munks has quite traveled the world as his pro career brought him to five different countries on four different continents (Europe, Asia, Latin America and of course North America). Munks has played previously professionally in Canada, Iraq (Nift Al-Janoub), Slovakia (SKP Banska Bystrica) and Bolivia (Vikingos). He attended Prairie View A&M University until 2014 and it is his fifth season in pro basketball.